Tags: Civil Liberties and Human Rights, Gender and Identity, Islamophobia, Law and Criminal Justice, Religion. Hatem Bazian is a co-founder and Professor of Islamic Law and Theology at Zaytuna College, the 1st Accredited Muslim Liberal Arts College in the United States. In addition, Prof. Bazian is a lecturer in the Departments of Near Eastern and Ethnic Studies at the University of California, Berkeley. In Spring 2015, Prof. Bazian was the Tolson visiting scholar at Pacific School of Religion. Between 2002-2007, he also served as an adjunct professor of law at UC Berkeley Boalt Hall School of Law, a visiting Professor in Religious Studies at Saint Mary’s College of California 2001-2007 and adviser to the Religion, Politics and Globalization Center at UC Berkeley. In Spring 2009, Prof. Bazian founded at Berkeley the Islamophobia Research and Documentation Project at the Center for Race and Gender, a research unit dedicated to the systematic study of Othering Islam and Muslims. 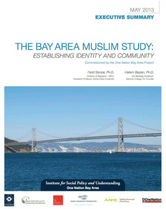 Prof. Bazian in Spring 2012 launched the Islamophobia Studies Journal, which is published bi-annually through a collaborative effort between the Islamophobia Research and Documentation Project of the Center for Race and Gender at the University of California at Berkeley, the Arab and Muslim Ethnicities and Diasporas Initiative for the School of Ethnic Studies at San Francisco State University; the Center for Islamic Studies at the Graduate Theological Union, the International Centre for Muslim and non-Muslim Understanding at the University of South Australia, and Zaytuna College. In addition to academic work, Dr, Bazian is a weekly columnist for the Turkish Daily Sabah Newspaper, Turkey Agenda online magazine and Al-Jazeera English. 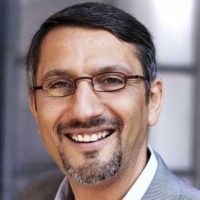 Dr. Bazian is founder and national Chair of American Muslims for Palestine, board member of the Islamic Scholarship Fund, Muslim Legal Fund of America, President of Dollar for Deen Charity, and Chair of Northern California Islamic Council.